"People who see FUNNY GIRL are the luckiest people in the world!" 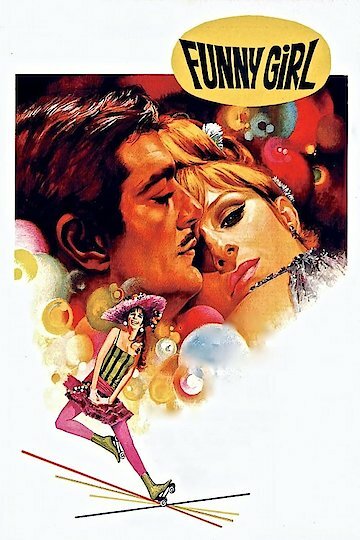 Funny Girl is a biography drama that was released in 1968. Funny Girl follows a young comedian who is living on the Lower East side of Manhattan at the time when comedy was first becoming popular. The story follows the young woman’s struggles to find acceptance as a woman in comedy, and the changes that come to her life as her career becomes more and more successful. The film also explores her love life as she has to deal with a failing marriage that eventually leads to divorce. The film explores the struggles of a successful woman as she has to deal with domestic problems while still developing as a person at a later stage in life. Funny Girl was written by Isobel Lennart, and was based on novel that he earlier wrote. The film was directed by William Wyler. The main character Fanny Brice is played by Barbra Streisand. The film is based on the life of the real life comedian Fanny Brice. Funny Girl is currently available to watch and stream, download, buy on demand at Amazon Prime, Amazon, Vudu, Google Play, iTunes, YouTube VOD online.